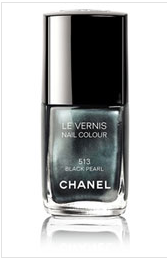 The new Chanel hot nail color for spring is Black Pearl. Capturing the iridescence of Black South Sea Pearls with metallic gunmetal undertones, hints of blues, greens, teals, and purple.....it is a dark color but some how springy! It almost creates a mood ring effect. 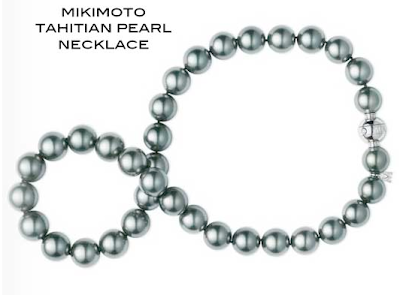 Very edgy but classic just like a strand of pearls....timeless cool. I love it... run out and get it this weekend Phil says spring is coming soon!